Where are Manhattan Project patents? The list is obviously not complete since the S-numbers (first column) -- a sequential numbering starting with 000001 -- contains many gaps. When I requested the missing patent S-numbers, the DOE suggested I ask NARA. In addition, no "report cover" was provided. Normally, lists such as this one, are created upon request. But without that report cover, I have no idea of who requested the list or why, who created the list, or when the list was created. What are S-numbers, where can I find a document that discusses patents related to the Manhattan Project (secrecy, the inventors' rights, where they are housed, etc.) and where can I find that missing report cover? Re: Where are Manhattan Project patents? "The list shows that the actual Patents were granted in the 50's and 60's, whereby the MED was disbanded in 1947 and transferred into the Armed Forces Special Weapons Project." 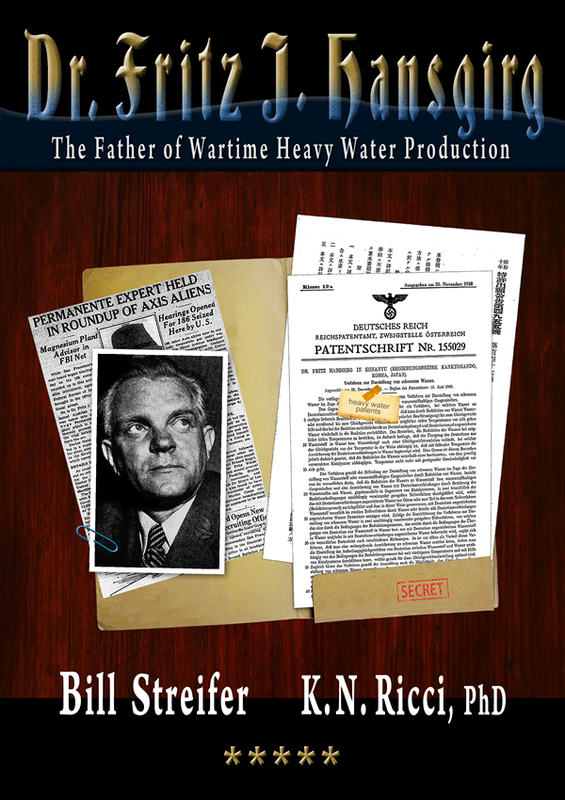 Harold Urey's heavy water patent remained classified until 1954. Jerome Spevack's heavy water patent remained classified until 1957. Both patents were used during the war and both were "civilian" patents. Urey's patent was developed at the University of Chicago, Urey was a professor there. Spevack developed his process at his private laboratory and "donated" it to the Manhattan Project. He then sued the Manhattan Project for $10 million in damages when they published his patent, which prevented Spevack from profiting from his own patent after the war. I did not see Sandia on the list? Maybe it's based on civilian verses government? I never realized Oppenheimer was on the committee that determined the use of the weapon. It sounds like he and Teller had a falling out. But deception only leads to more deception. Unfortunately the weapons were designed to be used, and they most likely will. The public really needs to be informed on the aspects of CBRN (Chem, Bio, Rad + Nuclear weapons). The SF135 usually lists the accessioned document descriptions, sometimes the SF135 has memos and other interesting things. That's how I discovered the testing performed on the Desert Storm records. There were also memos pertaining to missing phone logs and documents and a letter from the commanding general stating that he only had his personal logs which were dictated to his staff (Executive Officer)? Those records may now be considered government property. Maybe someone will or has donated them to West Point? There has to be a page that is dated and describes each list, but it may have fallen down the mineshaft of history. I see a D=4, 000=3, perhaps beginning 1943? I don't have a Crypto background....but the 1212 is interesting. I obtained that list of Manhattan Project patents (here, again: Wilson Center Digital Archive) through FOIA from the Department of Energy. I was PREVIOUSLY told by a member of NARA that there is no master list and that they are spread out in various locations, these DOE patents being an example. Why the DOE? The OSRD (Office of Scientific Research and Development) was the antecedent agency of the DOE, and the OSRD was in charge of Manhattan District patent rules and regulations, patent contracts, patent royalties, etc. Since the Manhattan Project spent $2 billion on the development of the atomic bomb, this was big business! Having an MBA has helped. 1. During the war, the U.S. was doing what it could to prevent the enemy (mostly Germany) from developing the atomic bomb. 2. During the war, Japan also had a nuclear weapons program but the U.S. didn't know anything about it, and after the war (and after Hiroshima and Nagasaki), Japanese atomic scientists denied it -- they were suddenly pacifists. 3. During the war, the U,S, was unaware that the Soviet Union also trying to develop the atomic bomb, which they only accomplished in 1949. I've just written an article on the subject titled: The CIA and the Soviet Heavy Water Project. I might offer it to The Bulletin of the Atomic Scientists or more likely to the CIA's Studies in Intelligence. 5. The Manhattan Engineering District had a "patent policy," but that was mostly to insure that they's retain the rights to all patents developed DURING the Manhattan Project or during the OSRD. What about the status of enemy patents (German, Austrian, Italian)? What about patents developed by Americans prior to the establishment of the OSRD? What about patents confiscated from enemy aliens following the Japanese attack on Pearl Harbor? See, it's complicated. Function Codes, and every profession has a numerical identifier. The lists are available on Google, and there is an example. Sometimes government numbers are arranged in various patterns, and the middle number is the beginning sequence. The D000 most likely refers to Administrative Support. The other numbers may relate to occupations, such as 41 for materials engineer, or 21 for electrical engineer, or they could be a good series of bug numbers picked out of a bag that day. There was a reactor in Canada that was also used during the project, it processed PuX3 for the US. I would bet that the US, did, know about the foreign research through British Intel and the OSS. And those records are most likely in the (b)(1) mineshaft of history. is that the world has not achieved geo-political stability. But maybe a WW3 with the use of nuclear, chemical and biological weapons has been slightly averted? Or maybe the repression is causing a resurgence of tension and is moving human kind closer to a major conflict? That's a job for the Consequences Management Analysis Team. question, relates to the potential 3rd nuclear device utilized during a military conflict? And has it already occurred? I grew up in Los Alamos, arriving there in 1950. It's also possible that the "Z" references a person. All persons age ten and older in LA, when I arrived, had in ID card and an identification number beginning with "Z". That ID number stayed with you for "life" as I used mine 17 years later when I worked at the Nevada Test Site. Re: Patents. A member of my family has his/her name on several. In the post Manhattan era, the policy was to mask the patent if it had any sensitive connection. I suspect it was unchanged from the Manhattan era. Most of the patents with my family's name/id were nothing but a patent page plus an innocuous title such as Lug Wrench #4. There might have been a contact address, but it would have been to a security desk somewhere. Locating those might be difficult to say the least. for the patent. It could be alphanumeric LW4, or have a matching code series that does not use the standard military alphabet as to identify the item or process. The Identification Cards are most likely linked to health monitoring. They have done studies on the lost baby teeth of children born after Trinity, and found levels of Strontium. The same with Iodine 131, and the contamination of grain, dairy, milk and produce after the testing. Basically, the USA and Earth has a layer of plutonium and radioactive isotopes after all the testing. Not to mention the large amount of depleted uranium weapons now. Even the 20 mm chain guns have penetrators that disintegrate to dust. Most likely had military or Public Health Service medical staff monitoring the children. And it is most likely an ongoing study for all those with a Z identifier. 1. "Lug Wrench #4" was an example I made up while writing the reply. Nothing cryptic here. 2. The ID card had only one purpose: To identify the card holder when entering the city as Los Alamos was closed to the public until around 1955. To enter one of the lab facilities, a separate ID card was used. It had numbers on it indicating what areas the holder was allowed access. Workers that were in proximity to radiation were issued dosimeters and maybe film badges. Dosimeters indicated the highest level of exposure. Film badges measured accumulation. I'm not sure when monitoring like that started. "Where are Manhattan Project patents?" Please type out the Z-number for the record (for posterity). of the old tests. They have found that the yields were about 20% greater. In this regard, many of the older motion picture film reels have been digitized. I'm sure they could also use the photo-digital analysis on conventional explosions of the BLU 82 or MOAB? an atomic number 92, and Pu 94, and it could be a 238, Neptunium is 93, man made in 1940. FASTAX Pictures of ground rise at dry clay site". Ops security and crypto, whereby the codes could be under a false narrative, such as property or real estate. events and work in a reverse clock or time line. Why do the Corps of Engineers have the letter Z? When I searched for "Z-numbers," NOTHING. I have no idea if it's related to patents, or Manhattan Project offices, or cities, or classifications, but if anyone is at NARA and can look up this document, it might go a long way to understanding why this long list of patents isn't complete and has gaps. The 3 ALSOS Missions most likely captured the foreign patents, scientists and engineers. The first was Italy, then France, Germany. They had intel from the foreign scientists in the US. The OSRD scientists, Naval Intel, and Army Intel were involved in the ALSOS Missions. I would also suspect that a 4th mission was conducted in Japan, which has not been revealed, due to the guidelines of the immunity granted to their bio, chem and nuclear scientists. Oppenheimer stated during an interview on the Ed Murrow Series, "See it Now", "There aren't secrets about the world of nature, there are secrets about the thoughts and intentions of men." Perhaps begin at Ground Zero? The S is a "Kind Code" for a Design Patent. I would rationalize that the Army Corps of Engineers constructed the observation buildings, towers and sensor platforms at the Trinity site. These constructions most likely had plans, or rough drawings that were placed into a manual for future reference. Engineer units typically refer to manuals to formulate field decontamination areas, vehicle wash pits and drainage areas. The actual plans for the Trinity test tower would be interesting, given the support and load angles, yield stress of the steel, bolts, welds, foundation, grounding and electrical isolation factors. The purchase contracts of the steel supports, bolts, gusset plats and construction materials just to build the test tower could be a book in itself. As an atomic weapon platform, and ground based surface test structure, it would most likely be considered obsolete by todays standards, and potentially be released with minimal exemptions. and post explosion. And the field detection equipment such as Geiger counters and dosimeters may have been saved as artifacts. It may be better to begin at ground Zero (Z) with the tower, and work your way to the observation structure. fire bombs? The Trinity of the proton, neutron and electron may have been examined in a different light? What philosophical analogy would Oppenheimer have attributed to the Trinity tower? portions off with eight 500 lb bombs. They would not pass up the opportunity to collect potential information. have a copy. It's a big pressure vessel so I doubt there would be a patent, unless it had an exclusive nomenclature and use, or metallurgical property. The company still makes steam generators for the nuclear industry. The Jumbo survived an 18 KT blast at 800 meters while reaching the modulus of elasticity without critical failure. The Current Patent Data and Publishing work is done by UNICOR in the federal prison system, they've had this contracted for a number of years. The Patent "Kind Codes" began in 2001, so the DOE document has the S Number, whereby this may have been a generated data list. The D000, most likely pertains to patents submitted under contract under "administrative support ". The Infrastructure or Military Force Function Code would also be a designation. The Engineer Corps at the time, under the Manhattan Engineering District, most likely used the property Z "function code" for security. And Z is also the mathematical symbol for the atomic number, and ground Z ero. The Z can also be rotated to N for neutrons or number of neutrons, and Z also has 3 strokes...Z is also the german word zahl for number. Z also represents the positive and negative integers. Most of the work was performed by scientists and engineers who have a natural inclination towards numbers. I would also "bet" that the 0529 am detonation time also had a meaning. The 100 Meter high steel tower and 4 leg, 6' footers were most likely built by the Corps of Engineers, and the drawings are most likely in a tube, drawer or portfolio. Can't imagine they would toss them. I asked a professor of nuclear engineering if he or one of his students would like to look up each patent numbers on that list (Wilson Center Digital Archive) on Google Patents to see if there was a pattern. No response yet. Why are there duplicate S-numbers on consecutive lines (does the information require two lines)? If you look at the very last patents on the list, you'll notice that there's a huge gap from 016086 to 054627! Why? Here's my guess and what I see.....the S Kind Code is for each design, but it can have the same contract. The Next to last entry has a Patent from the United Kingdom, a foreign patent in England most likely . The Large Gap could be due to the computer system utilized, and way the data was retrieved. Some of the older systems had data entered and retrieved by code. Certain alpha code and numerals would create a list. It is not user friendly, and not anything like a google search or optical search system. In some instances it may still be used. 2. Since I'm writing a book on the subject, I've added your name to my long list of consultants. 3. You said there's a foreign patent on the list. Yes, I requested U.S. AND foreign patents. 4. You said 1948 is mentioned and that the list was prepared after the formation of the U.S. Air Force. Yes, the Air Force was created on September 18, 1947. 5. I recently filed a FOIA request for the (missing) "report cover." What is the name of the report? Who requested it and why? Who was the report prepared by and when? 6. I filed an appeal with the DOE. I spoke to their appeals attorney for an hour. I said I was able to find patents numbers not on the list. Therefore, their search was "inadequate" (their word). I then said, I intended on requesting judicial review if they denied my appeal, "so you had better look harder." He said, "We don't want to look stupid in front of the judge, so we'll look harder! I think the Patent FOIA may have been generated from a DOE Data Base, most likely an older system. actual drawings and blue prints. The SF135 could have pages and pages of document descriptions. search function, to release what they choose. Many people are unaware that a federal claim can be filed, and they can do it themselves. prevent discovery of injustice or wrongdoing. A Federal Court FOIA claim, usually requires that a Federal Judge reviews the information withheld. nearest federal court. They will fly the attorneys out as to represent the agency. Once citizens realize they can file in federal court, it will become more hectic. the data requested is often unfocused. But some of the information is not in the public catalog. 6 months wont matter.. . I was incorrect on the tower, it was only 100 FEET, don't remember what the height was, whereby an engineer had to sign off on it. There has to be some drawings of that tower for the Gadget and the one for the Jumbo? Jumbo... What's that? There was only one atomic test. The next plutonium explosion was over Nagasaki, Japan! The Jumbo was a Huge Steel containment vessel shipped by rail and moved by creeper tractors. It was not used. The Gadget could have turned into a huge radiological bomb , and blowing plutonium throughout the site. It would have contained an inefficient explosion. They thought the bomb would disintegrate the Jumbo vessel. But then they feared it would be a form of shrapnel, like a giant grenade sending metal debris airborne. It was placed 800 Meters away on another tower. The Jumbo Tower was destroyed, but the Jumbo survived and it still there. Barberton is over by Akron, OH. Maybe there was only 1 initial atomic test. If the others were failures, then there may have been radiological dispersion of plutonium somewhere out in White Sands? It's hard to imagine they got it on the first go? Trinity, number 3. History often shortens stories: We tested it, it worked, end of story. Thank you for sharing your question with the History Hub. These series are all in the custody of the Textual Reference Branch at the National Archives in College Park, Maryland (Archives II). You can contact them directly at archives2reference@nara.gov with questions about the records, and you can also continue searching the National Archives Catalog for further records related to your research. Finally, you may also find this blog entry from the National Declassification Center to be of interest: Nobel Prize Winning Scientists Associated with the Manhattan Project. Thank you, again, for your inquiry, and best of luck with your ongoing research. I am writing a book on the history of heavy water production. During the war, a Manhattan Project scientist developed a new heavy water process, but it was never used. The inventor was Jerome Spevack and the process is commonly known as GS. The "G" stands for Geib, a German chemist who independently developed the process in Germany. After the war, the Soviets convinced Geib to work for them. According to Geib's daughter (or grand-daughter), Geib never returned to Germany and may have been killed by the Russians. Meanwhile, after the war, when the Manhattan Project refused to compensate Spevack, he sued the government for $10 million, but withdrew his lawsuit shortly afterward. Apparently, Spevack's patent is not on that list of 41-pages of patents, although it's possible it was classified at the time. Spevack's patent remained classified until 1957. Nor are two other heavy water patents on that list. Both WERE used by the Manhattan Project during their wartime heavy water project in Canada. When the Manhattan Project was informed that the two inventors had to be financially compensated, a Manhattan Project scientists said royalties could be circumvented. Not only were these two inventors not compensated financially, but two Manhattan falsely took credit for inventing the process. Both inventors may have died not knowing they were screwed by the U.S. Government. For that reason, I am considering changing the title of my book to "SCREWED!" and marketing it to the general public, not merely to academics -- although every sentence is cited (more often than not with declassified intelligence documents and foreign documents, not merely books or articles). I have numerous consultants, including translators in Chinese, Japanese, Germany, Norwegian, and Russian..
All suggestions and comments are welcome. In addition to the records related to the Manhattan Project listed above, the National Archives also has several series related to heavy water. A quick search of the Catalog reveals five series in Record Group 326 Records of the Atomic Energy Commission [AEC] | National Archives and one series in RG 434 General Records of the Department of Energy [DOE] | National Archives that may contain information relevant to your research (see: https://catalog.archives.gov/search?q=%22heavy%20water%22&f.level=series). You can contact the Textual Reference Branch at Archives II (listed above) with questions about these series. There are also a few films related to the topic of heavy water, including "Fight for Heavy Water" (https://catalog.archives.gov/id/1938372 ) from RG 263 Records of the Central Intelligence Agency [CIA] | National Archives and "Heavy Water Plants" (https://catalog.archives.gov/id/23682 ) from RG 111 Records of the office of the Chief Signal officer | National Archives. If you have questions about these holdings, you can contact the Motion Pictures and Sound Recordings Branch at Archives II at mopix@nara.gov. That was extremely valuable. Thank you. But it raises another question: Why are some Manhattan Project documents (like that list of patents) at the DOE and others are NARA? When I requested a more complete list of Manhattan Project patents from the DOE, they came back this morning with "not found." Previously, when I asked NARA, they said there was no complete list, but they didn't provide the RG numbers that you did. have a Transmittal and Receipt Form with the Item Numbers and individual record descriptions. Accession has (434), which is the RG for the DOE . should list the specifics of the Transfer? It can be pages to hundreds of pages long. The Online Catalog does not list the transfer form listings. There are several reasons why some records are at NARA while others might still be with an agency (e.g. the DOE). The National Archives works with each agency to create records schedules which primarily outline disposition status (e.g. temporary vs. permanent records) and retention periods (e.g. 6 months vs. 16 years vs. permanently) for that agency's records. Only permanent records come into the custody of the National Archives, but even if a record is permanent, the records schedule may dictate that it stays in the legal custody of the agency for an extended period of time before it is ultimately transferred to the legal custody of NARA. Agencies can also sometimes make a case for maintaining custody of their permanent records if they are still being used during the regular course of their business. Temporary records can also have long retention periods before they are ultimately disposed of by the agency. You can learn more about records management and records schedules here: National Archives Records Management Information Page | National Archives. As for your question about locating specific heavy water patents, I'm afraid that's not my area of expertise, so my best recommendation would be for you to explore the National Archives Catalog entries and pages from the Guide to Federal Records and linked above to determine which series might be useful for further, more in-depth review. If you are planning a visit to the National Archives, you will also be able to peruse our finding aids for these records before you request the records themselves. The Online Catalog has limitations when searching topics that are not tagged. It all depends on how the data is tagged and linked, whereby Desert Storm had no results, because it was listed as Persian Gulf War. The textual records are not optically scanned, because its an impossible job for the amount of paper records. But the records are reviewed by NARA staff or, similar records staff, and a SF135 Transmittal and Receipt Form is created which lists the pertinent documents and their titles when they are transferred. These are usually saved in a PDF Format, so NARA or the agency can refer to the transferred records. That's how a researcher can find 1 specific paper within 45 feet of records. I just looked at the JFK records that were released at NARA, and they are in their individual PDF formats. Now I think that the "Z"-number (Zulu) might be a military timestamp, perhaps when the list was sent from A to B.
Yikes! Z-codes involve the history of cryptographics (secret codes)! There is a recent video of the military now using Secret "portable computers" , just came out a couple days ago. unless dropped in a fire... The new portable computer key index can be located and wiped clean if lost or captured. There would be an index code and key. Similar to the NATO Phonetic alphabet , but more complex. The Institute for Advanced Studies had an early computer. The Axis army used feathers dropped on china, most likely with bio, and there was a Z-FOS, Z Force Operations Staff headquartered in Kweilin China, Oct 1944, in that WW2 War Crime File..it also mentioned Japanese, water purification. The patent numbers could correlate to the ID Card numbers. likely a NN3-077-001. I was also reviewing the Desert Storm video listings describing the Air Force nuclear pit inspection and capsule insertion films, A, B, and C. The ACCIPITER mission is video cassette #30, whereby there were 31 cassettes. The Mocking Bird /Opus missions are not dated beyond 2-24-91, and the video cassette is 29. So ACCIPITER was most likely after the OPUS missions. Sometimes one thing leads to another. The tests before Trinity are crucial. Each of the Tests would have been filmed and given a Code Name. show the maximum rise and geological deformation. It was underground as to contain the plutonium if there was an inefficient explosion, whereby the plutonium and isotopes would be contained. The Trinity test was above ground, using the tower as to calculate an air drop and surface-airborne yield. The Jumbo (Containment vessel) was Not Used, because they were confident wit the underground clay detonation. The prior detonations were underground, and as failures, the plutonium was most likely contained. Each of these tests would have had a Code. Trinity was Y-203-6, per the Motion Picture Listing. Most of the Patents would have been perfected by the 1st successful underground test. All the Motion picture listings are in order by Record Group, there are only 2 listings for record group 77, NN3-077-03-002 was most likely received in 2003. (What happened to Y-2k fixes)? NN3-077-03-001 may have references to the tests before Trinity. And what were their names? The los Alamos "Patch" may refer to the 203 and the star with the 6 protons around it is the 0? 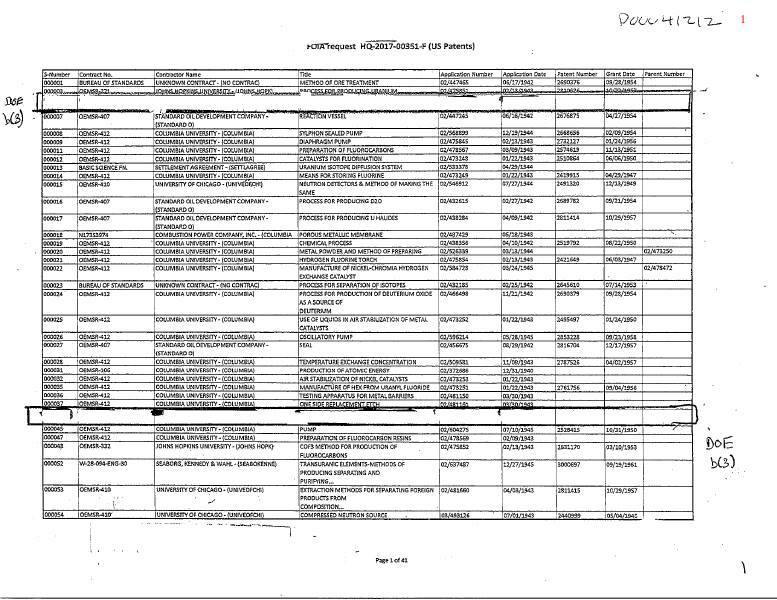 John Hopkins Univ, RG 77, Declass Project # NND 978106, HMS# A1 2007, Finding Aid Note: A list of all JHU lab notebooks can be found in the file " Patent Clearances" list of JHU notebooks + reports in this series. It has Patents C-216, Cell S-3565 thru the solubility of C-216 in various liquids. 17'-11"
Engineering Research Office Subject Files, 1941-45, RG 77, UD-UP 84 , Declass # NND 65860 , 10'-2"
Lantern Slides + Index 1942-45 MED, RG 77, HMS A1 19, Declass # NND 65853, 3.5"
Soil RG 77, UD-UP 89, Declass# NND 58937, 2'-1"
I think this thread took a wrong fork in the road. The original question was about Manhattan Project patents. 1. The project was a crash program with one goal...To build an atomic fission weapon. 2. It was highly compartmentalized with the exception of Los Alamos leadership. 3. The leadership was mostly Scientists and Engineers. They has a huge intellectual capacity, but little time to delve into cryptography. 4. Both scientists and engineers are highly structured when it comes to document control. But, it was simple, not cryptic. For Example, M-xxxxx could be Mechanical, C-xxxx Civil, E-xxxx Electrical. Note, "X" Division has been and is the Weapons Division. 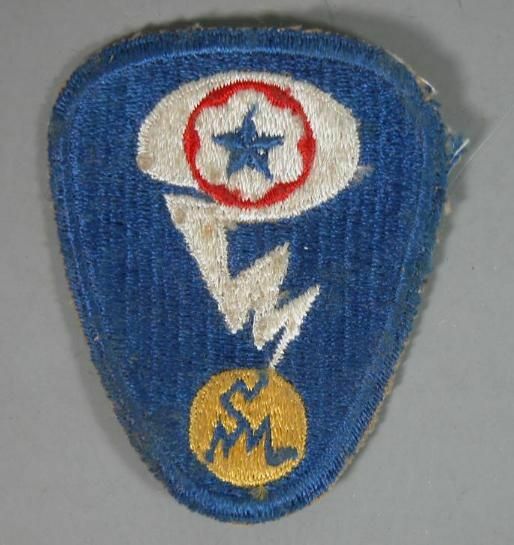 "CM" = Chemical and Metals (later it was split into CMF & CMR divisions where the last letter was the initial of the new division leader). 5. Due to the war urgency, little regard was given to patents. If one existed, it could be violated in the name of the war effort or security. If it did not exist, a new idea might not have been filed for security reasons or because it would take away from product development. Item 5 is likely the most germane to your quest. Note that the infringement litigation for Deuterium abruptly ended. Ergo, it was settled quietly. It is likely that patents were put off until the war effort was over if they were even submitted. Trade secrets are private and more secure; patents are public. The Manhattan Project had a "patent policy." From the beginning, they knew that inventions developed during the Manhattan Project would be patented. The inventor filed for a patent, it went through the normal patent process (claims accepted and denied, etc. ), and in the end, a patent was issued. However, since these patents were classified, they were locked away in a special safe in the patent office until they were declassified -- some in the 1950s and some never. Another consideration, in my research , there have been responses stating that the records were "unprocessed" , when the actual cataloging occurred almost 10 years prior, with written notations and alpha numeric numbering. Once the records are transferred or accessioned, they are reviewed and sorted. In my case the records were never placed in the NARA Online Public Catalog. Now they are there....? The Historical accounts of the Y-Site , states that compartmentalization was minimized as to promote collaboration and speed up the project. Some scientists did not want to work within a military frame work and stated they would resign when militarization occurred. The Universities also returned to their regular status after the completion. The List does show that most of the patents took place in the 1950's, after the end of WW2 and the Korean War. The JHU NARA RG 77, A1 2007 listing refers to patent clearances. The project was most likely militarized after the war, and the records categorized. It seems as if the Army Engineer project records, photos and films were accessioned in 2003. The JHU RG77, A1 2007, listing mentions patent clearances and a report finding index? Did this include all the related patents, or just those with down graded clearances? I have been looking for soil samples in the 1991 time frame. Where would the water quality master file be located? Perhaps Medical Command? to formulate focused FOIA's for specific data. The Crowd sourcing really does help. It's better to get 20 sheets of specific data, than try and sift through 40 feet of files. The Trinity test shot was really informative, I never realized that the artic lichen was contaminated with isotopes, whereby it is found in the caribou. The Y Site had 24 fatalities, and 2 scientists. It also had medical staffing. And the water was brought in. Never realized they called it the "demon core". NN3-007-03-002, RG 77, has the UD-UP 89 , Soils Master Control Files 50-51, it also has the UD-UP 86 , Administrative Services Central Files , 1940-45, 2'-1". But a search does not show a RG 77, UD-UP 87 or UD-UP 88? Usually there would be a SF135 PDF File showing the 2003 transfer? Also the, RG77, NN3-077-03-001, does not seem to show up on a catalog search? Maybe the soils file would include data from the tests and combat theaters? The fallout from trinity extended 90 miles and a larger testing area of 150 miles was suggested. When the Department of Energy sent me that incomplete list of U.S. and foreign patents, I filed an appeal. However, instead of sending me the omitted patents, they answered some of my unanswered questions: Who requested this list and when, and why are there gaps? The DOE also attempted to show -- without proof -- why certain patents and contracts were left off that list. I don't agree, so I intend on requesting a judicial review. I learned so much reviewing this topic on the Anniversary of Hiroshima 8-6-45, and Nagasaki 8-9. My opinion on nuclear weapons is evolving. What if they were using tactical low yield weapons in war , without informing the public, verses the general perceptions of thermo nuclear hydrogen bombs destroying entire cities? With the recent concerns with nuclear proliferation or war, this topic has opened my mind a little. I was surprised to see that Canada provided India with its atomic program? It's now apparent that a nuclear war is looming in the future, if it continues down this fork in the road. So you know, Japan worked on various aspects of a nuclear program during WWII (or earlier) in China and in "North" Korea. I'm too busy right now to finish my book on the subject, but it's next once my current book on the Pueblo Incident is done. By the way, my article on Japan's nuclear program was published in Vostok: the Journal of Asian Studies, published by the Russian Academy of Sciences in Moscow. I'm on their editorial board -- the ONLY American. Should I post my article on Japan's nuclear program here? The cost associated with defending and litigating, now comes out of the specific agency FOIA budget, and losses mean less funding and staffing. Retirees may not be replaced. More FOIA's will go to file 13, and go unanswered. Some agencies like the VA, do not even respond. Perhaps they use a revolving door of contract staff, who simply do not answer them? Last evening, the House of Representatives passed amendments to the FOIA, many of which are very good. The Hill has more on the bill. One thing the Hill doesn't discuss is that the amendments changes the attorney fees provision - from being discretionary to those who substantially prevail they are now mandatory. The problem is that the last FOIA amendments in 2006 took the payment of those attorneys fees from the Justice Fund for attorney fees and made them come out of FOIA office operating funds. The amendments do not change this - so if passed, any FOIA litigation that substantially prevails will be entitled to attorney fees coming directly out of agency FOIA operations. This may sound good in that those FOIA offices that are doing poorly will have an incentive to clean up their act; however, in reality it will likely mean that more money goes out to a few requesters who have sued, litigation increases and FOIA offices have to stop hiring and processing requests to make up the shortfall. Hopefully the Senate will look into this provision and make the necessary changes.